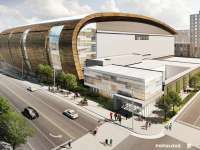 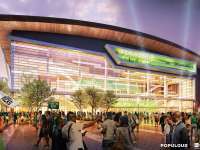 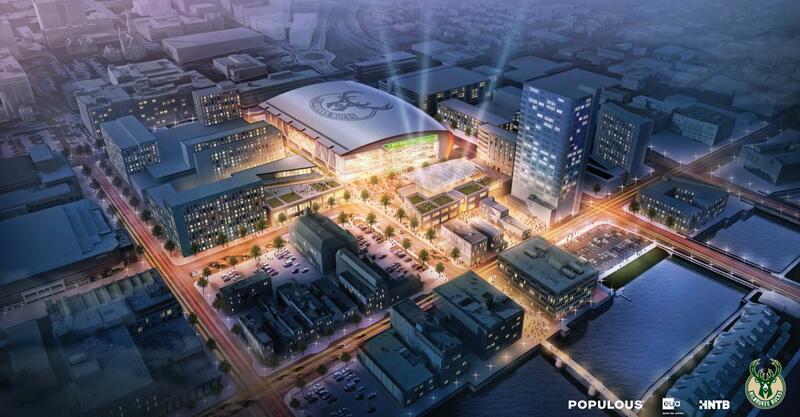 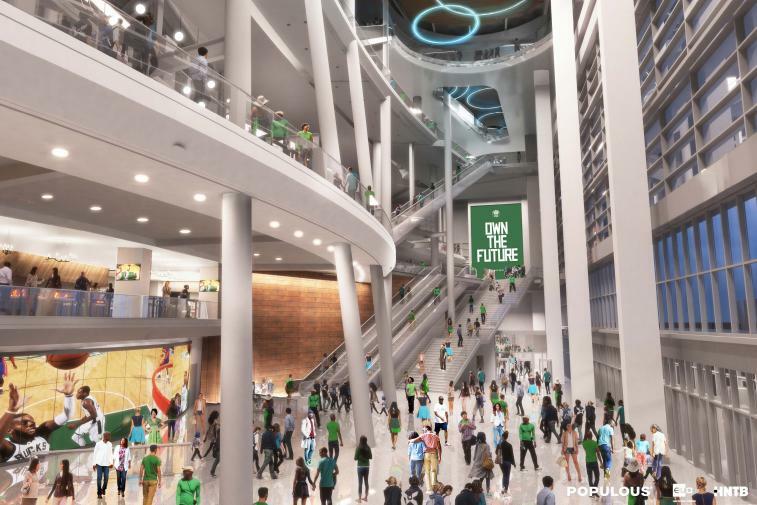 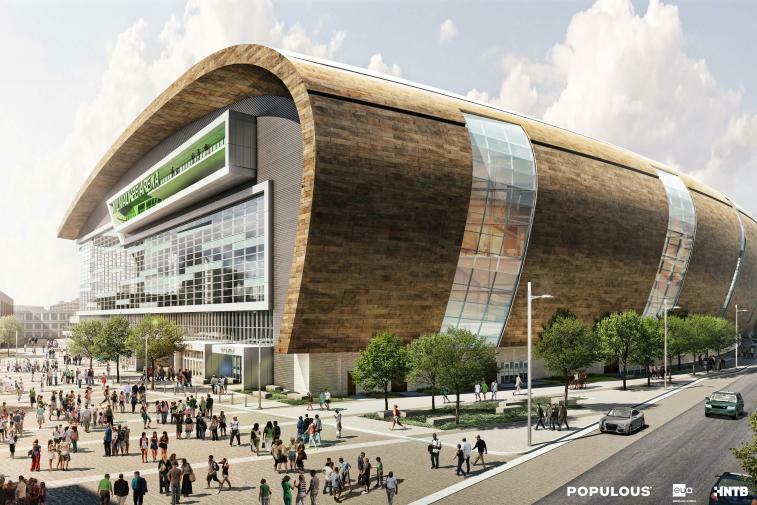 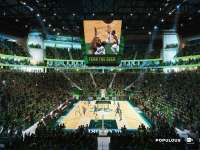 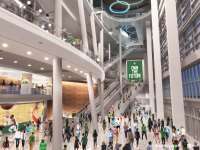 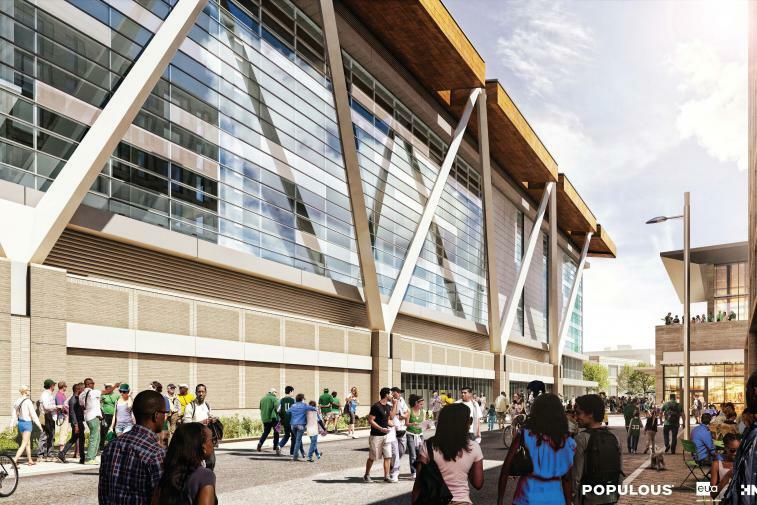 The Milwaukee Bucks released an updated set of renderings for the team’s new multi-purpose arena in downtown Milwaukee. 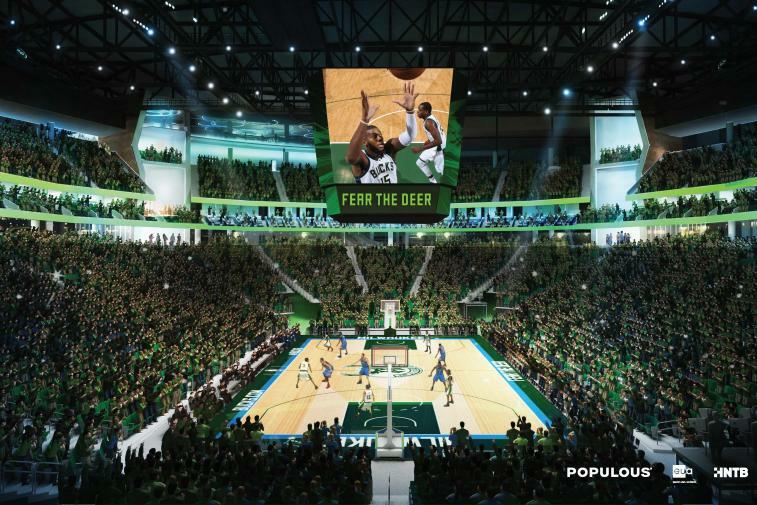 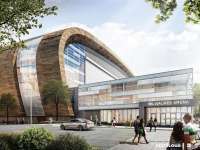 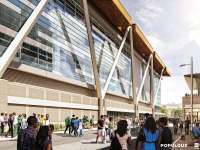 In addition to serving as the home of Milwaukee Bucks basketball, the 714,000 square foot Populous-designed arena will host countless sports and entertainment events as well as anchor a new entertainment district that hopes to serve as a catalyst for a ripple effect that will transform downtown Milwaukee. 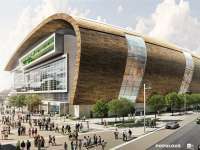 “Inspired by the natural beauty of Wisconsin’s rivers, lakes and forests, this new Wisconsin landmark will stand out as an iconic addition to the cityscape and seamlessly connect with surrounding neighborhoods,” said Brad Clark, senior principal at Populous. 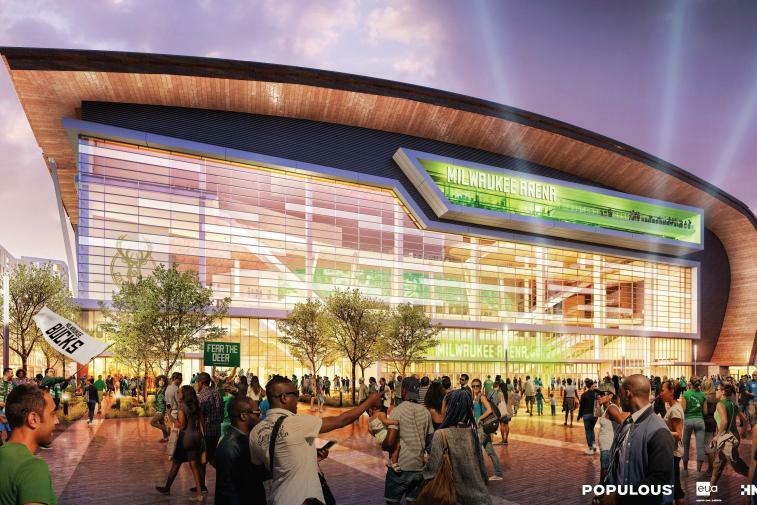 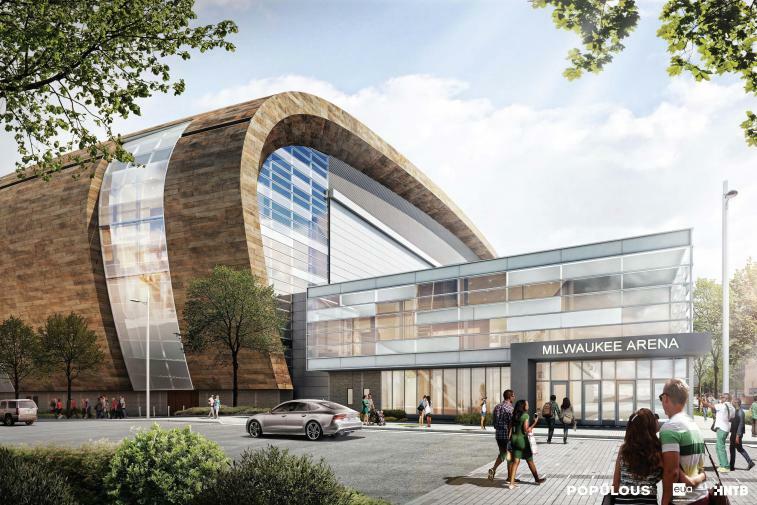 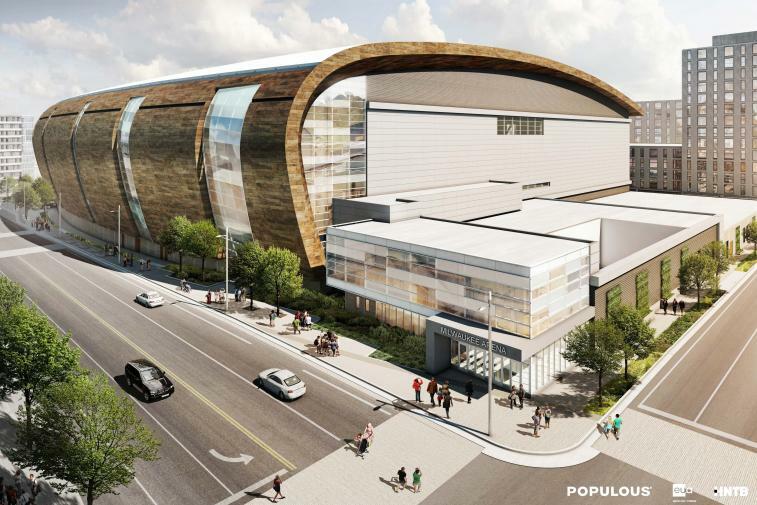 These new renderings reflect the plans submitted for the final stage of the design approval process with the city of Milwaukee and local public officials before construction on the new arena can begin this summer.